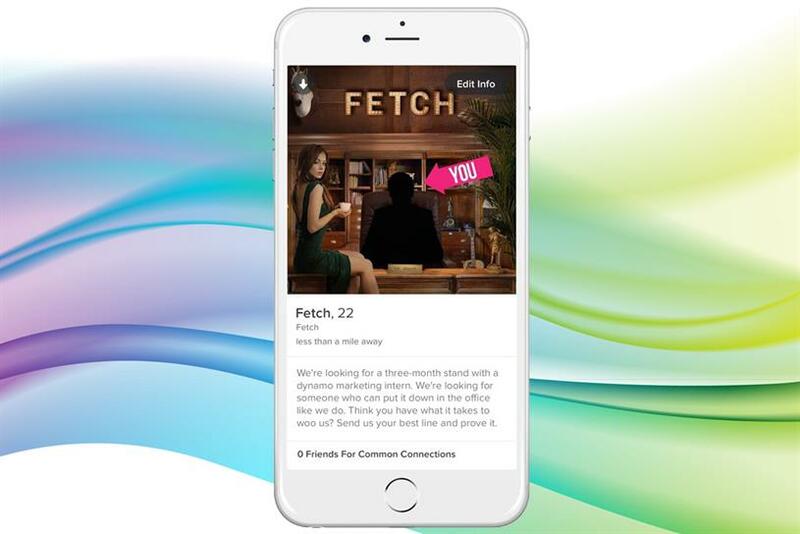 Fetch used app Tinder to attract talent. Cover letters are so 2012. Today, snagging that plum agency internship more likely means you wrote the perfect tweet, or composed a really moving Snapchat story. That’s because ad agencies have taken their summer intern-recruitment drives online. Or more accurately, onto social platforms. "We recruit through social media because social is the most important force in our industry and where everything is going," said Jason Peterson, CCO of Havas Worldwide. It also gives agencies a chance to have some fun with a traditionally uninspiring process. Here are five agencies that showed real ingenuity in finding their summer helpers this year. #internswanted. Leo Burnett focuses on Snapchat to connect with potential "Burnetters." To recruit interns for summer 2016, the agency produced two Snapchat stories for the month of March. The first featured an "Intern Survival Kit" in which two former interns, now employees, broke down a list of essential items interns would need on the job, including "Leo glasses" ("Who cares if they’re unprescribed? They make you look cool") and caffeine ("Because sometimes an apple doesn’t cut it"). The second was a live Q+A on Snapchat. Former interns answered questions from applicants in 10-second live snaps. All applications are in, and while offers are still being accepted, less than one percent of applicants will become interns, according to Michael Cowen, associate director of communications at the Publicis Worldwide agency. Since 2013, Havas has concentrated exclusively on social recruiting to find its interns. For this summer, the agency focused on recruiting "new blood" through the social storytelling app Stellar. In April, applicants were prompted to fashion stories by uploading videos, photos and text to the app that showed who they were and how they planned to disrupt the industry. The Chicago and New York offices voted for the stories that were the most impactful, and the winners got an automatic spot at those offices this summer. The draft even had its own hashtag: #HavasNewBlood. The agency said it received 340 story submissions on Stellar in 10 days, a new record. To get potential interns interested in working at RPA’s office in sunny Santa Monica, California, the agency created 360-degree videos of its courtyard, lobby, in-house pub and roof at sunset, designed for Google Cardboard. While talking to students about applying at recruitment fairs, the agency kept the Google Cardboard on its table so that interested students could get a sense of RPA’s workplace. "The 360 video gives potential interns the opportunity to participate within the walls of RPA — to know the look and feel of the space before they get on board," said J. Barbush, vice president and creative director of social media. The video was also placed on YouTube, where viewers can drag their cursors around the scene to watch people work. RPA has now found its interns for the summer and received great feedback about the videos, according to Andrea Lance, talent manager at RPA. "A lot of the candidates mentioned it showed the type of agency we are (figuratively and literally) and drew in folks that wouldn’t have initially stopped at the table," she said. In March, space150 took advantage of Snapchat’s geofilters to find its summer interns. space150’s geofilter strategy involved targeting students for two weeks at the end of March. The agency created six geofilters that catered to the youth, such as one that was Tinder-themed. By making them available at 29 campuses and public places around the US, space150 was able to reach the audience it wanted. To apply, candidates were told to create a snap story to advertise for one of space150’s clients but targeted at audiences in the year 2020. Greg Swan, vice president of social, public relations and emerging media at the "fiercely independent" agency said 115 snap stories were submitted in the two weeks the geofilters were on Snapchat. From these, the space150 filled 10 open internships at offices in Minneapolis, New York, Venice and Burbank. The filters got 230,000 views and were used more than 6,000 times, according to Swan. "This campaign was a complete success. The filters created curiosity in potential candidates and drove awareness of space150 among our target audience on campuses where we wanted to find talent. Moreover, the candidates really put their hearts into the work, even though we set complex barriers to entry. We're excited about the potential of our new interns and will continue to innovate on new media platforms to find like-minded talent in pushing boundaries and destroying convention," Swan said. In January, mobile agency Fetch used the dating app Tinder to recruit their spring intern Sam Weidt. Instead of a date, Sam picked up an internship — it was love at first sight. For its "Tintern" campaign, the agency wanted to get candid with candidates. It approached the app like anyone else would, only it created spoofed male and female profiles, both 22 years old. The profile pictures showed the agency name up top, with black outlines of a male and female and bright pink arrows pointing to them reading "YOU." Since every profile has a space to write an introduction, Fetch used it to say it was looking for "a three-month stand with a dynamo marketing intern." The agency ended its dating description with a challenge: "Think you have what it takes to woo us? Send us your best line and prove it." Once a candidate swiped right if they were interested, a Fetch representative would engage in an, oftentimes flirty, conversation on the app, weeding out candidates before interviews were scheduled. But Fetch wasn’t being too picky initially, it didn’t swipe left on anyone who swiped right on them. The mobile agency’s one-day experiment resulted in 270 applications from interested candidates. Sam scored with the line, "If I was as good at dating as I am with marketing, my thumbs wouldn't be sore from Tinder!" Now, he calls it the best Tinder date he’s ever been on. "Job seekers are already migrating to mobile and incorporating it as a key component in their search toolkit. Using apps to fill these roles with Fetch is a natural fit," said Melina Ex, Fetch managing director for the East Coast. The agency, owned by Dentsu, is using a video with Sam discussing the "Tintern" recruitment strategy, to attract future interns on social media. Fetch plans to continue to recruit through social — next up could be using Snapchat geofilters like space150. If it were to date on Tinder again, it would change the profile locations outside of colleges or recruitment fairs to get more diverse applicants. Fetch found that men were more likely to swipe right. Poll: Do companies need chief diversity officers in 2016? Do awards judges read headlines?